Volkswagen Beetle Cabriolet Running Costs, MPG, Economy, Reliability, Safety | What Car? 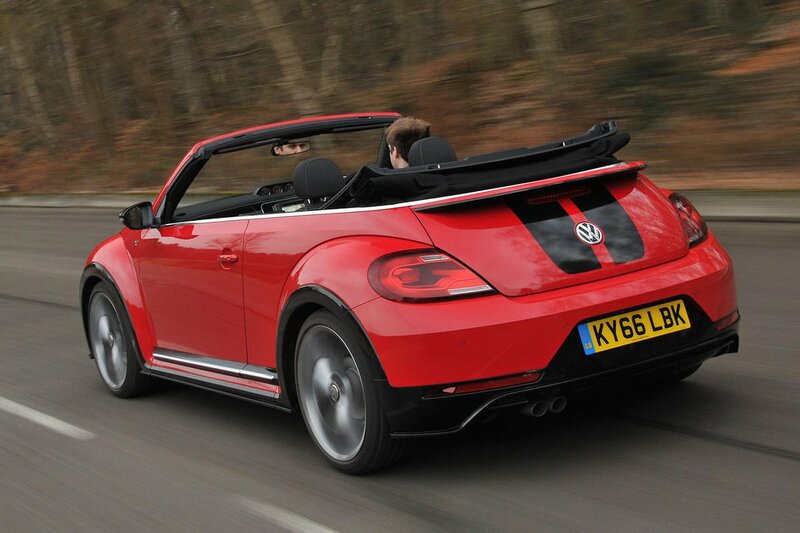 The Beetle Cabriolet’s list price is quite high compared to key rivals like the Mini Convertible. However, our Target Price team suggests that there’ll be much bigger discounts available on the Beetle if you haggle, which will bring the price closer to the Mini’s, and monthly finance costs are likely to be quite similar, too. Avoid the cheapest Beetle Cab model, as it’s the only trim that doesn’t get an alarm or alloy wheels, and you have to pay extra to be able to connect an Apple iPhone or iPod. The rest of the range is well equipped. Design trim is the best buy. 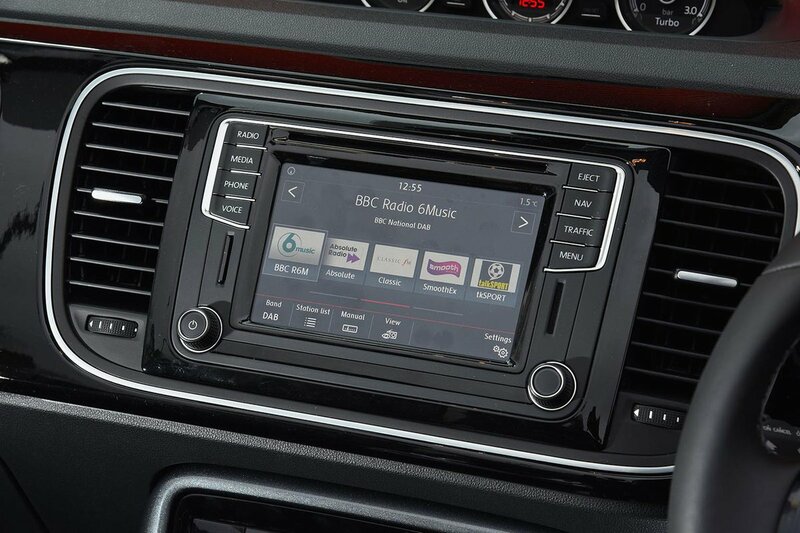 It gets air-con, electric windows all-round, the 6.5in colour touch-screen, DAB, Bluetooth, a USB input that allows you to connect any major phone makes, body-coloured trim inserts and 8 speakers. It is a real shame that VW doesn’t throw in parking sensors, but they’re an affordable extra, as is Apple CarPlay or Android Auto, and the Winter Pack (which brings heated seats and windscreen washer jets) that we’d recommend adding. A pack that includes lane-change and blind-spot assist is optional, but you don’t get automatic emergency braking. R-Line or Dune models are too expensive to be very recommendable, since they push the price of the Beetle Cabriolet up into territory that it just can’t compete in – namely that of the faster, sharper, more comfortable and more practical Audi A3 Cabriolet. The five-speed 2.0 TDI 110 will be the cheapest model for company car buyers, but we haven’t driven it yet, and the 1.2 TSI is likely to be more enjoyable to drive and will cost very little extra in company car tax. If economy is a real priority than you should consider the diesels, but our experience of the 1.2 and 1.4 petrols is that they can achieve around 40mpg in normal use, so don’t discount them. 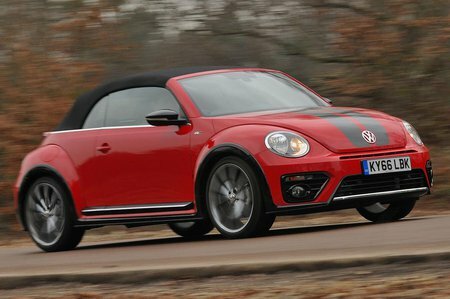 If you do choose to buy your Beetle Cabriolet outright, bear in mind that it’ll lose value faster than a Mini Convertible. A three year, 60,000 mile warranty is standard.